Anelectrical panel is also called a load center. It is a metal electrical service box that accepts the main power to the home and distributes electrical current to the various circuits within the home. 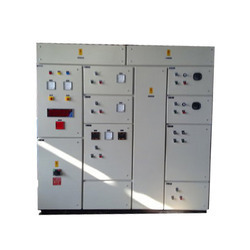 We are leading Manufacturer of Control Panel and our product is made up of good quality. A control panel is a flat, often vertical, area where control or monitoring instruments are displayed or it is an enclosed unit that is the part of a system that users can access, as the control panel of a security system. These are used in different heavy-duty industries for smooth distribution of power support supply during power failures. Our distribution panels meet the international quality standards. Our offered panel holds the electrical components and wires, which serve as the basic input electricity ports for buildings. We are amongst the leading manufacturers and suppliers of this impeccable range of Electrical Control Panel. Manufactured in accordance with the set industry norms and guidelines, its standard of quality never deteriorates Designed for perfection, these ensure efficient controlling and regulating the flow of electricity to varied devices to meet the desired output. Our company is well known in the market for the manufacture a wide range of products that include the Electrical Distribution Panel, these switch boards are important for electrical installation. These switchboards are divides the incoming power supply into separate circuits. The Power Factor Control Panel is cost-effective products that ensure a long life. We offer Power factor control panels of various capacity to our clients that operate in a closed loop system for the regulation of power supply output. 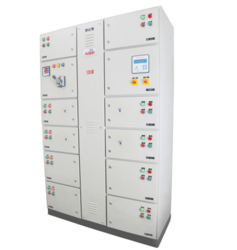 Our Power Factor Control Panel is widely used in various industries for maintaining a high power level and also helps to reduce frequent and time-consuming manual intervention. It also minimizes wastage of energy. 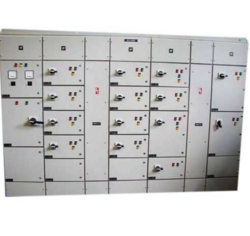 The panels are fully integrated with appropriate accessories such as switchgears and capacitor banks. With our rich industry experience, we are involved in offering a wide assortment of Automatic Power Factor Control Panel. The Automatic Power Factor Control Panel calculates the actual and reactive power in the mains from the measured current and voltage. It also determines if actual power is being consumed or delivered. It identifies the power of the connected capacitor stages and connects or disconnects them in an optimized manner as required by the actual mains conditions. The Automatic Power Factor Control Panel is electrical equipment that controls the flow of current in electric devices. The regulation considers the frequency of changes in the reactive load and follows the principle of rotational switching. This guarantees that optimum power factor correction is achieved with the minimum number of switching operations. 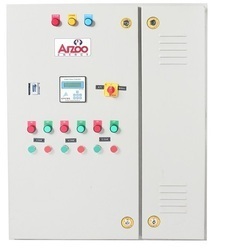 We offer to our customers with APFC Panel, which permanently monitor the reactive power of the installation and control the connection and disconnection of capacitor in order to obtain the targeted power factor. This controller automatically displays the voltage, current, active and reactive power. Matching up with the requirements of our clients, we are involved in offering Power Factor Controller. This controller is ideally suited for switching capacitors through contractors. It has got robust construction and is equipped with connecting delay which could be adjusted quite easily. We have marked a distinct and dynamic position in the market by providing a high quality array of Motor Control Center Panel. The offered panel is available in the market in varied designs, and specifications. MCC Panels are widely used in a huge factory which uses a lot of motors. MCC panels allow easy monitoring and remote controlling of every single motor in your production plant. · Cabinet available in various materials. 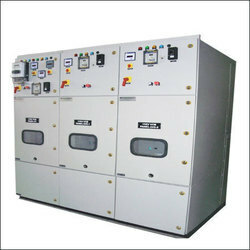 Our organization is engaged in manufacturing top quality Auto Mains Failure Control Panels. The AMF panels that we manufacture helps to start the generator in case of mains failure. It immediately gets the power back without any attended and loss of work. Load is transferred from mains to the generator. A Variable Frequency Drive (VFD) is a type of motor controller that drives an electric motor by varying the frequency and voltage supplied to the electric motor. 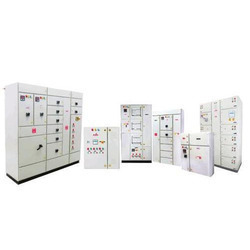 We are highly specialized in offering high quality Variable Frequency Drive Panels (VFD Panels) that are in compliance to the international quality standards by using advanced technology.